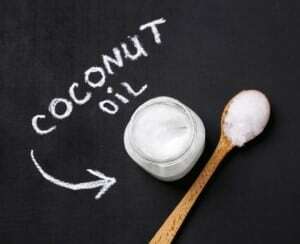 People everywhere are beginning to learn how coconut oil, which has been around for centuries, is such an immensely beneficial fat to have in their daily diets. What they may not realize, however, is that this magical oil is not just good for improving their health from the inside. It can help in so many more ways ranging from skin and hair health all the way to naturally cleaning your home. When looking at the abundance of health and beauty products in the world, you can see they normally come with a hefty price tag. Likewise, many cleaners people use are made of unhealthy and potentially toxic chemicals. Coconut oil can replace many of these expensive and toxic products, which will save you money and make way for a healthier home. Keep reading to learn 10 coconut oil uses. Let’s face it. Sometimes with the environment and climate, our hair can pay a price. Instead of paying a fortune for hair serums, use coconut oil. Dab a small amount of this oil towards the ends of your hair and say goodbye to frizz. The smell of store-bought insect repellents is just too much, not to mention that they are also made of harmful chemicals. By combining one-half cup of coconut oil with 10 drops of tea tree oil, you will create a bug spray that is all natural as well as nourishing for your skin. When you pay good money for nice furniture, you want to be sure you take care of it. Spraying it with chemicals is not the type of love valuable furniture needs. Instead, try using coconut oil after you clean your furniture in order to bring out its natural shine for years to come. Simply apply the oil and buff it in with a soft cloth. Everyone knows dental whitening treatments are great, but costly. Many whitening types of toothpastes are full of chemicals. In order to whiten your teeth naturally, all you need is oil from a coconut. Take a teaspoon of this fantastic oil and perform what is called oil pulling. Swish this oil around in your mouth for 20 minutes. This will kill bacteria, reduce plaque and help whiten your teeth naturally. Moisturizing is an excellent way to use this oil. 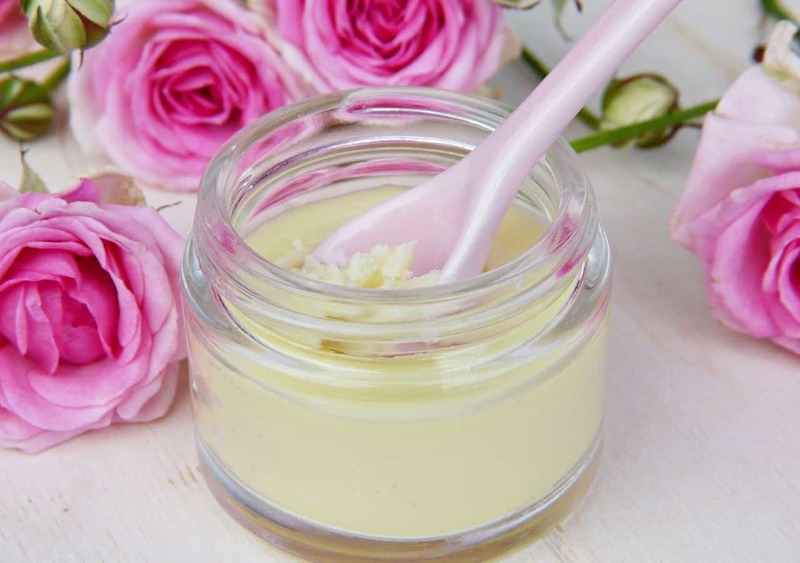 Using the oil as a shaving balm will leave your skin silky smooth after shaving, and applying the oil after a shower will lock moisture into your skin. After shampooing your hair, a light application of the oil will keep your hair moisturized and shiny. Finally, massaging this oil into your cuticles and around your nail beds will keep your cuticles moisturized as well as keep you from forming ridges on your nails due to dryness. By using this multi-purpose oil on a damp sponge and perhaps adding baking soda or vinegar to boost its cleaning power, you can easily remove soap scum from your bathroom areas without the use of nasty chemicals. By mixing together 1/3 cup of coconut oil, 1/4 cup of baking soda, 4 tablespoons of cornstarch and any essential oil you wish, you will create an all natural deodorant that will keep you fresh all day. By swallowing a teaspoon of oil from coconuts, you can help calm sore throat pain. Another great way to accomplish this is to mix a spoon of this oil in your favorite tea. Add honey or some lemon juice to amp up the flavor. Just like your furniture, some clothing and accessory items cost a pretty penny. This is why oil from coconuts is best when cleaning and maintaining these items. It will clean and condition the leather, preventing it from drying out and cracking. Always preserve the beauty of your accessories naturally. By combining this multi-purpose oil with orange peel powder, finely ground walnut shells or a host of other natural ingredients, you can create body scrubs and face masks that will give you soft skin, lessen skin discoloration and lock in valuable moisture. This will give you gorgeous and youthful skin. As you see, coconut oil uses are not limited to simply aiding your dietary needs. This fantastic gift from nature, which is not expensive compared to the many items it can replace, can really go a long way in helping you better your health and possessions. By replacing just a few items in your daily life with this oil, you will improve your family’s life.